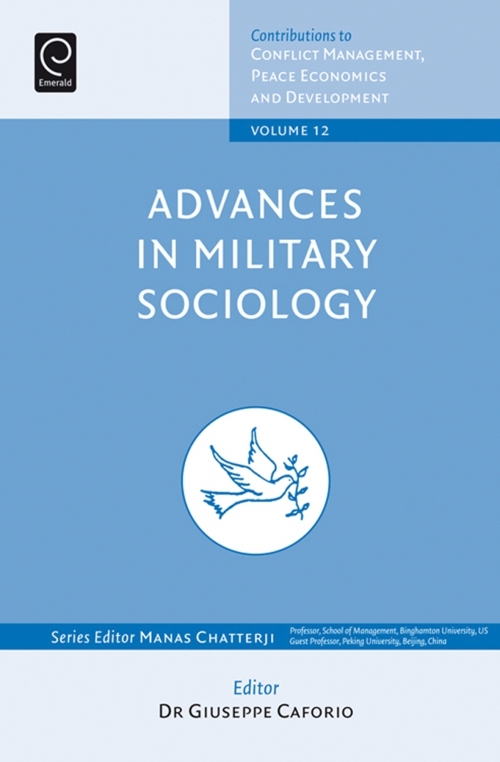 This Book Set consists of: *9781848558908 - Advances in Military Sociology: Essays in Honor of Charles C. Moskos (Part A) *9781848558922 - Advances in Military Sociology: Essays in Honor of Charles C. Moskos (Part B) There could be no better homage to recently deceased sociologist Charles C. Moskos than dedicating to him this selection of the papers presented at RC01's international conference in Seoul (July 2008). It offers an up-to-date view of the panorama of social studies on armed forces and conflict resolution in a context of fast-moving change that renders many preceding theoretical previsions obsolete. Just to cite two aspects of this change, one can point first of all to how the presented studies move beyond the very concept of globalization, after which the conference had been named. It in fact emerged with clarity that the new dimensions of the context in which militaries and military policy must move are those of a constant, diffuse interaction of the 'local' and the 'global', so-called globalization. A second aspect, in the international area, is the shift towards a multipolar global order with the United States, the European Union, China, Russia, Latin America, Japan and India all manoeuvring for position, a shift that has significant consequences on military action as well.